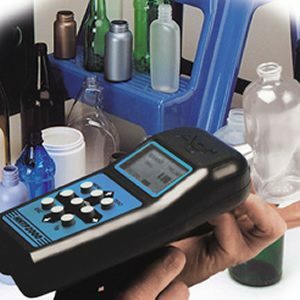 The Hand Held Thickness Probe (HHTP2000) is a portable thickness measurement and evaluation device designed for measuring non-conductive materials. The unique touch and measure design is well suited for containers and hollow molded products. The HHTP2000 is ideal for plant operations where quick and effortless measurement of material distribution is needed. The HHTP2000 does not require target balls or coupling fluids, eliminating the risk of product contamination. Operating principal – the HHTP2000 utilizes Agr’s proven “touch and measure” capacitive thickness technology. The effective capacitance of the HHTP2000 probe tip changes in proportion to the average thickness of the material. The change in capacitance is converted and then read as thickness on the digital display.